Having one child has its joys and challenges as a homeschooling parent. He's eight years old now and I've only in the past year really come to understand that God really did have my best interests at heart when he gave me one child. I watch my homeschooling friends raise their youngsters. ... most with at least two children and I, time and again, wonder how they manage. I find my time quite taken up just managing my hubby and one child. I just don't really understand how they cope with the noise and bustle of all those children, meeting the various needs of the family, get meals on the tables and such like. I am very frequently amazed by them. tailored learning is great, and quite easy with one child. One of my biggest pros of having one child to rear and educate means that I can gear my homeschooling around him and my style of doing things quite easily. I don't have to accommodate a variety of learning styles, a variety of interests, and such like. I have one boy....who likes all things buggy, loves to listen to me read stories to him, likes to tell me things he knows, who is a careful cautious lad (and to think I used to find the daredevil children so much fun), and just plain fun to hang around with. Mind having one child can also be a challenge....he doesn't have siblings to keep him busy or to teach him more easily the fine art of sharing, many curriculi are based on group learning, I have to be deliberate about having social interaction times, and when it is just him and me, the difficult days can't be made easier by saying ... go play outside all of you children NOW! It is just sometimes more difficult. But......those difficulties are quite manage-able in the long-term. I don't need to deal with sibling rivalry, or with the two needy children on the same day, or the need to say no to some field trips because it would get too costly to take all the children.... I simply don't have to deal with that. It's a worry I don't need to deal with. The joy of taking an interest the lad had in birds from reading through the burgess book of birds. We could make bird feeders in a variety of styles and see what worked best. One of my unexpected benefits of only having one child is that if I plan an event to do with my lad, I have room in the car to invite other children to come with us. I can plan out a group learning time because I have the room to pick children up and take them with us. 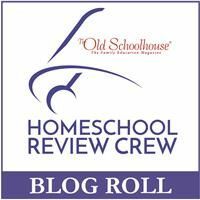 Please go to my Pinterest board to see blogs families that are homeschooling onlies. :) You'll find the link here.